"Major kudos to Danielle Woerner, whose towering performance glows musically and dramatically. " "She is a singer, and therefore capable of anything," wrote the 19th-century opera composer composer Vincenzo Bellini to a friend during rehearsals for his latest production. It was a cry of exasperation. The rehearsal process was going poorly, and the prima donna was driving him mad with her tantrums. "considerable technique along with perfect diction. All of the singing is quite lovely." But 21st-century singers who enjoy this double-edged remark prefer to emphasize the positive side of the possibilities. 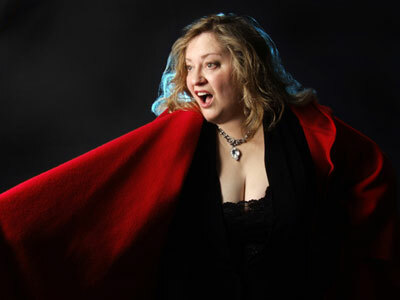 In soprano Danielle Woerner's case, "capable of anything" is particularly apt. Not only is she an unusually versatile performer, with a classical repertoire that runs from the Renaissance through present-day pieces written just for her, she also branches out into folk, jazz, performance art and world music. In Manhattan, where The New York Post called her "one of the shining lights of New York's musical life," and The New York Times praised her "fresh, agile voice [and] intelligent singing," she’s performed at venues from La MaMa to Lincoln Center to Carnegie (Weill) Hall. She’s been heard onstage from Maine to Florida and on National Public Radio broadcasts throughout the country. In the mid-Hudson region of New York State, her primary home from 1990-2014, she was called "one of the Seven Wonders of the Hudson Valley" by an admiring critic familiar with her performances with orchestra, on concert and recital series, in opera and musical theater, and at cabaret, jazz and folk venues. She now resides, sings and teaches in coastal DownEast Maine — traveling for performances, and teaching online via Skype, as well as in person at the Sunrise County Arts Institute, in Milbridge, ME. As a recording artist, Danielle's two commercial CD’s feature music and performances by some of the 20th and 21st centuries’ foremost American composers, including Otto Luening, Robert Starer and Peter Schickele. Danielle also executive-produced those recordings: She Walks in Beauty (Parnassus 96012), which has garnered international kudos, and Voices of the Valley, featuring music by Hudson Valley composers (Troy 877—Release date Nov. 1, 2006). 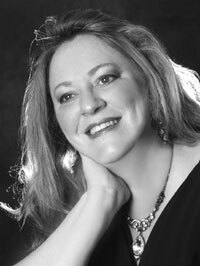 She's a featured soloist on recordings by Gamelan Son of Lion and Midnight Modulations. Her label Woodlark Rising Records was formed to issue future recordings of her own songs and music for healing. A master teacher in vocal technique, repertoire, and many areas of performance practice, Danielle is now sought after in Maine, and online – after teaching hundreds of private students in New York City and the Hudson Valley, in her own studios and at colleges. Colleagues seek her out to hone their teaching skills. 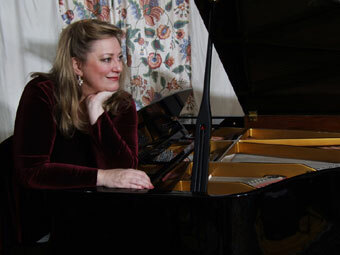 She leads workshops for amateurs, pros and professional organizations on many musical subjects. A believer in the healing capacity of music, she.s been a nationally featured presenter at conferences on the arts and mental health, and served as a music-and-arts activity therapist. Danielle uses the power of the pen, too. Her feature articles have appeared on the glossy pages of national magazines like Newsweek and Classical Singer, and the regional monthly Hudson Valley, and on the newsprint of the local Woodstock (NY) Times. New songs take shape on music manuscript paper at her piano. Her computer screen might reveal a glimpse of her novel in progress, her latest slam poem, or an article in progress. She's created vocal-music arrangements for theatrical productions, preparing arrangements and coaching the singers for Vassar College Drama Department productions, and for the Hudson Valley component of the 2003 worldwide "Lysistrata Project". Always actively involved in her community, in Milbridge, ME, Danielle is the co-creator of Sunrise County Arts Institute, and also helps to steer Gateway:Milbridge, a humanitarian and arts-based Main Street revitalization effort whose first project is to bring back the Milbridge Theatre as a film and live-production venue. While in the Hudson Valley, Danielle organized and performed in countless benefits for the arts, education and social justice. She founded an Artist in Residence program at historic Holy Cross Church in Kingston's inner city, which revitalized musical performances in the neighborhood and hatched the world-traveled Hudson Valley Youth Chorale. She also directed the community singer-songwriter collective, Voices for Peace. Gardening is a great escape from indoor pursuits, and Danielle and her husband Claude created lovely gardens for their former home in the Hudson Valley (shown here). Now they're doing the same at the unique, historic Milbridge, ME, property that is the home of Sunrise County Arts Institute – where they also host vacation renters and working artists who want a great seaside escape!